Crisp winter days can be great fun when out with your dog, and it’s important to make sure they get plenty of exercise even when the weather is bad. However, you do need to be aware of the potential risks, so here are some suggestions for keeping your dog warm and safe during a cold spell. Dogs with thick coats will have some natural protection against the cold but short-haired breeds may struggle, so consider investing in a cosy dog coat for the winter months. A reflective collar – or reflective clothing for yourself – is also a good idea when out in the dark. Salt and grit can irritate dogs’ footpads, so wash their feet off if you’ve been on gritted paths. This will also prevent them from licking any salt or grit off their feet. Before going out try to trim the hair around your dog’s feet to help prevent ice-balls – these form between the pads and toes of the feet and can be very painful. Stay away from frozen ponds or lakes and keep your dog on a lead near frozen water. If they do run on to it, it’s tempting to go after them but most dogs are strong swimmers and are more likely to get themselves out of trouble than you are, so don’t be tempted to jump in after them! 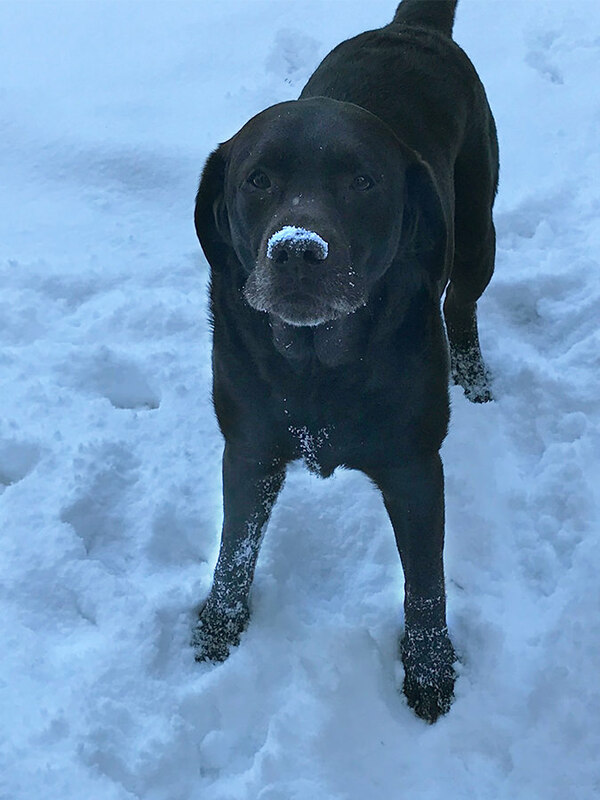 If it’s just too cold to go outside, keep your dog at home and spend time playing games indoors to stop them from getting too bored or frustrated. And if your dog ends up being less active during the winter months, don’t forget to cut back a bit on the amount of food they get.